Life happens which means your kids can get traumatic injuries, causing their front teeth to be knocked out (also known as avulsed teeth). Dr. Jon Jenson DDS is an endodontist, which means he went to additional schooling to learn how to perform root canals on teeth and diagnose what is the best possible solution for a knocked-out tooth. Here are some important steps to make when an accident happens. 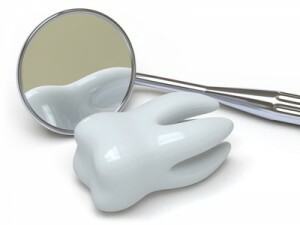 Recover the Tooth: If the tooth has completely exited the socket, make sure to find it. Sometimes the tooth can be reinserted and saved even if it had been completely knocked out, so you will want to take steps to give the tooth the best chance for survival. Store The Tooth: The best course of action is to reinsert the tooth into the socket. If this is not an option, place the tooth in a moist environment. Milk is a good liquid to place the tooth in until you get to your endodontist. Call And Make A Dental Appointment: Dr. Jon Jenson is very experienced with emergency dental care and places high priority on such cases, especially avulsed teeth because the longer a tooth is out of the socket, the worse the outcome for that tooth. When you arrive at the appointment, a diagnosis will be performed to make the best choice for your dental health. This means that your dentist may take a digital x-ray or perform tests on your teeth. Frequently, teeth that have been avulsed will need root canal therapy to prevent additional trauma to the tooth and surrounding tissue. If you or someone in your care has recently experienced a traumatic injury, please call Cascade Endodontics to schedule your dental emergency appointment.